VENTURES AFRICA – Nigeria is keen to bolster economic ties with the world’s most populated and fastest growing region Asia, as has agreed to double its bilateral trade volumes with the regions’s countries from $40 billion to over $80 billion within the next to two years. This decision was made at a stakeholder meeting between the Nigerian Ministry of Industry Trade and Investment and Nigeria’s ambassadors across fourteen Asian countries in New Delhi, India. Two growing partners, Singapore and Australia have trade relations worth N293.4 billion ($1.8 billion) and N534.3 billion ($3.3 billion) respectively, while India and China – the two largest Asian trading partners of Nigeria – have their trade deals with Nigeria worth N2.95 trillion ($17 billion) and N2.143 trillion ($14.8 billion) respectively. Aside from boosting bilateral trade relations with existing partners, the meeting which was the first of its kind in over 50 years will see the it open fresh investment commitments to major Indian companies, who were not yet present in Nigeria. “It is only those who live in the past that still believe that the West can help us. The Asian continent has great regards for Nigeria as a country,” Nigerian High Commissioner to India, Ndubuisi Amaku said. Nigeria is shifting its attention from the West to Asia which has been declared by Economists the fastest growing region in the world, the only continent to outpace Africa’s surging numbers. Indian High Commissioner to Nigeria Shri Ajjampur Rangaiah Ghanashyam has disclosed that the volume of trades between Indian and Nigeria, which currently stands at $19.5 billion, will increase to over $20 billion by ending of the year. Speaking to journalists after the Diplomatic Dialogue Series organised by Nigeria Leadership Initiative (NLI) in Lagos, Ghanashyam said the trade relationship between the two countries spans different sectors of the economy including education, health, industry and Information Technology (IT). Ghanashyam said Nigerian government is currently partnering with the lndian government in the development of Nigeria’s power sector, adding that Nigeria is exploring ways of adopting the lndian power sector model as a way of transforming her power sector. According to him, currently, Nigeria is in partnership with TaTa of lndia to produce 10,000mw of electricity. Comparatively, lndia has achieved over 400 per cent leap in generation capacity in the last 10 years. "This has nothing to do with problem of insurgency in some part of Nigeria. In fact, we believe that those areas that currently experience the challenge of insurgency need some kind of assistance. We cannot stop connecting with some areas just because they have some challenges today," the High Commissioner said. Ghanashyan however expressed regret on the issue of double taxations, which he noted, has been affecting Indian businesses in Nigeria. He said since his assumption of office he has taken it up as a challenge and has sent in correspondences to the Federal Ministry of Finance on the development. He expressed confidence that the issue would be addressed in due course. "The last figure I have about volume of trade between India and Nigeria as at April 2014was $19.5billion. And it is still growing. The relationship is growing by the day, by the week, months and year. And the trade will shoot beyond $20 billion before the end of the year," Ghanashyan said. Also speaking, the President, Nigeria-India Chamber of Commerce and Industry, Dr. Umo Itsueli said considering the rising growth rate in the economies of both nations, it is only expedient that the trade relationship is strengthened. In his remarks, the Chief Executive Officer of NLI, Yinka Oyinlola said the aim of organising the roundtable discussion was to see that business relationships between Nigeria other countries are not only focused on countries of the North but also countries of southern hemisphere where India is a major key player. The Comptroller General of the Nigeria Customs Service (NCS), Alhaji Inde Abdulahi has called for collaboration between NCS and stakeholders in the maritime sector, especially licensed customs agents to address the challenges still being experienced with the introduction of Pre -Arrival Assessment Report (PAAR) in the cargo clearance regime. Speaking on the sidelines of the 60th anniversary and official inauguration of the new permanent national secretariat of the Association of Nigerian Licensed Customs Agent (ANLCA), Abdullahi said rather than apportion blames, stakeholders should come together to harmoniously find a lasting solution to the identified challenges in the issuance of PAAR. 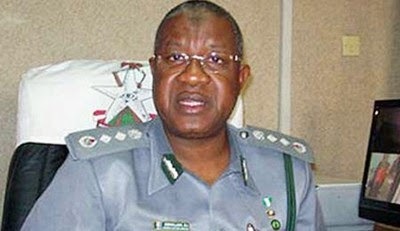 Abdullahi’s position was in response to the National President of ANLCA, Olayiwola Shittu’s welcome address at the ceremony, when he called on the Customs boss to set up a committee involving very responsible members of his association to look into the complaints of agents concerning the PAAR. Shittu’s words: “I will fail if I do not tell you about the yearnings of our people. You have tried and your name will be in the history books for life. You may be in Abuja, but do not know everything that is happening on the field. Our people are crying. I know we are here to celebrate, but please, help us address the issue of PAAR. “PAAR is the best ever existent clearing document established by any Customs authority all over the world, and this was also confirmed in South Korea. We decided to embrace PAAR because it is a facilitator and world customs brokers who we are members recognised PAAR as a sample for other countries. But some Customs officers and agents may be a stumbling block and I believe it is not your fault that you brought something good to the country”. However, Abdullahi noted that some of the hiccups could not be completely ruled out, according to him, the beginning of every endeavour will always be met with challenges. He said it was not in the interest of the service providers to hand over the reign of Destination Inspection to the Nigeria Customs Service (NCS) as they abandoned some unfinished Risk Assessment Report (RAR) documents to the service. “PAAR is Nigeria’s creation. It is Customs’ creation and it is just nine months. As human beings you should know that every beginning is difficult and we must expect teething problems from the beginning. Do not forget that people who left did not want to leave so they will leave behind a lot of problems, which will cause problems between me and you. So I think it is better we sit down and look at it intelligently and bring about the solving of that problem harmoniously,” he said. Abdullahi maintained that the erstwhile three service providers will no longer perform Customs job or collect duty on its behalf, hence the need to critically look at addressing the problem rather than the blame game. “Let me assure you that even if I leave the Comptroller-General position, no other agency will come back and collect duty on behalf of the NCS, so it is better while we are perfecting whatever is the problem, let us look at it and solve it between ourselves,” he said. 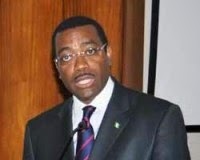 Nigeria’s minister of agriculture and rural development, Dr Akinwumi Adesina, has said that given the abundant endowment in Africa, the continent should not be spending $35billion annually on food importation. Adesina made this observation yesterday in Nairobi, Kenyan capital, during the official launch of the Kenya-Nigeria Agribusiness Forum and the signing of MoU on bilateral trade between the two countries. “With the unfolding global realities, where you are going to have the greatest impact is in making agriculture a business everywhere in Africa,” the minister posited. Koskei too wondered why Kenyan tea has to make a detour to another African country after first going to Europe. He disclosed that Kenyan tea comes to Nigeria through Europe under different trade names, but called for an end to the trend. On August 18, President Goodluck Jonathan reappointed Roberts Orya the Managing Director of the Nigerian Export-Import Bank [NEXIM] for a second five-year term. In reappointing him, the government credited Mr. Orya with transforming NEXIM from a bank with over N10 billion non-performing loan liability in August 2009, to an institution with a capacity to provide about $39.5 billion in financial intervention and guarantees to support non-oil export activities in the country. “In 2009, the loans portfolio of the bank was about N14.6 billion, out of which about 72 per cent was non-performing, with about N10.03billion, or 69.05 per cent classified lost, in line with the prudential guidelines of the Central Bank of Nigeria, CBN,” the finance ministry said. Roberts Orya was appointed Managing Director/CEO of NEXIM Bank on August 14, 2009. A graduate of Banking and Finance from the University of Ibadan, Mr. Orya, who also has a Masters in Banking and Finance, has over 29 years of experience from working in several Financial Investment, Commercial and Mortgage banking institutions in the country. His banking career began in February 1984 when he joined International Merchant Bank, IMB, Plc, where he worked till September 1990 before leaving to join Credite Bank of Nigeria Limited as a pioneer staff. Mr. Orya was then seconded to Prime Merchant Bank Limited in July 1991 as Head of Foreign Operations and subsequently to Pace Mortgage Finance Limited in October 1992 as the General Manager/Chief Executive Officer. 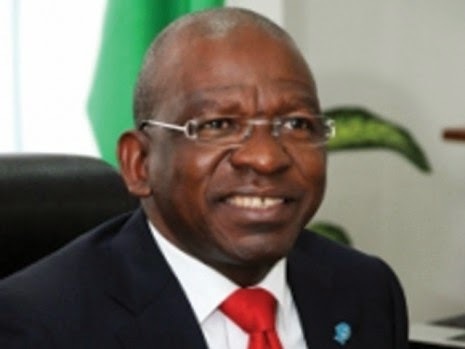 Thereafter, he joined Lobi Bank of Nigeria Limited in January 1994, where he rose to become the Managing Director and Executive Chairman in January 1998 before being reassigned to Premier Commercial Bank Plc as an Executive Director. Mr. Orya’s was also Afribank Capital Limited’s Executive Director in charge of Capital Markets, Financial Advisory Services and Research & Strategy. He is Associate Member, Chartered Institute of Bankers of Nigeria and London; member, Certified Pension Institute of Nigeria and Nigeria Institute of Management, NIM, and member, the Institute of Management Consultants. In this interview with PREMIUM TIMES, Mr. Orya spoke about his stewardship at NEXIM. Congrats on your re-appointment by the President for another term of five years. Will you say in good conscience that you deserve this new term? What transformation have you brought into the bank in the past four years? NEXIM was set up in January 1991 by an Act of Parliament No. 28. Its primary mandate was to use deepen external sector of Nigerian economy. The specific focus was how Nigerian economy could diversify from oil. NEXIM was to provide finance and risk bearing facilities (credit insurance and guarantee), trade and market information. On my assumption of office, provision of business advisory service to small and medium-scale enterprises, SMEs, was added. NEXIM’s attention has been on Nigerians engaged in non-oil exports. By August 2009 when my management came in, the bank was virtually in disarray. Its mandate was not properly prosecuted. The bank’s financial and operational performances had deteriorated to alarming proportions, apart from several other corporate governance issues. The loans portfolio on ground ran into about N14.6 billion. Out of this, about 72 per cent was non-performing, with about N10.03billion, or 69.05 per cent classified lost, in line with the prudential guidelines of the Central Bank of Nigeria, CBN. The greatest challenge at the time was that NEXIM had no funds to pursue its mandate. Its authorized and call-up share capital was only N50 billion. But, when my management came in, only N17.26 billion was contributed by the stakeholders for almost 20 years, cumulatively. There was an outstanding debt of about N32.74 billion. It was absolutely very difficult to even create new loans, new risk assets and operate profitably. Out of the amount, the CBN, one of the shareholders, had given just about N6.7 billion for 20 years. The other shareholder is Federal Ministry of Finance incorporated. Both own NEXIM in equal proportion form the N50 billion they are supposed to give to the bank. The CBN was reluctant to give more money to an institution that had completely derailed from its mandate. Clearly, the CBN was not interested in sinking more funds, since the one it had given before appeared to have gone into a bottomless pit. There were no returns on investment. The money given was equity to yield some returns. It was obvious the shareholders knew the money given for the bank’s operations had opportunity cost. If money was not used to service Nigerians through the bank, CBN believed it could have done so in some other sectors to the benefit of Nigerians. Even the N17.26 billion equity contribution was depleted by accumulated losses to about N9.13 billion. That was the amount we met in the books. There was significant decrease in income. The quantum of loans the bank could charge interest on or push to its profit and loss account and boost its bottom line was drastically reduced. The bank’s record keeping was completely in tatters. The overheads were escalating by the day. In August 2009, the latest management account was for April 2009. It was clear the previous management did not capture records of transactions on a daily basis, a practice routine to smaller institutions. That was the picture how NEXIM was run before we came. There was no strategic focus on where the bank was going and what the objective targets were. The bank was more like a rudderless ship. The bank was distracted from its core mandate. NEXIM was not set up to finance oil and gas industry activities. But, at the time, it was lending to both oil and non-oil businesses, including importation of petroleum products. There was complete absence of risk management framework. Even the corporate governance framework in place then was observed largely in breach. Yet, these are two key pillars a banking institution like NEXIM cannot afford to ignore. The staff strength was over-bloated, with significant skill gaps. They could not drive anybody’s investment vision. Most of them had no idea what the industry was all about, nor what NEXIM stood for. Little wonder the management could not push through its strategic vision. What’s worse? The bank had no visibility. Nobody knew there was a bank like NEXIM. The few who knew did not know what purpose it was to serve. No effort was made to project its significance and objectives. When we came in, what we did was to work out ways to reverse these problems and allow the bank operate its mandate profitably and contribute significantly to Nigeria’s economic development. What did you do with over N200 billion stabilization fund CBN was said to have given NEXIM? N200 billion stabilization fund to NEXIM? From where? That’s a shocker to NEXIM management? Over 23 years of its existence, NEXIM has not received from the CBN, cumulatively, N200 billion for stabilization, guarantee or any other purpose. No such money has come from any other government agency either. If one were to aggregate all funds to NEXIM from all sources as loans and other forms of financing for over 23 years, it is not up N100 billion. What stabilization fund means is not quite clear. My view is that the claim was from a mischief maker for reasons NEXIM was not aware of. Has NEXIM under your management met its target? Absolutely! When we came in, we did not want to approach our shareholders for money. We needed NEXIM to recover and refocus on its strategic direction on its own. First, developed a five-year strategic plan to define NEXIM’s vision, mission and objectives to pursue. Though money was a major constraint, we looked at the sectors with potentials to create jobs and grow the economy. The non-oil sector is very large, but we decided to select just four sectors with high great potentials to generate jobs for Nigerians, give the country foreign exchange and alleviate poverty. These were manufacturing, agro-processing, solid minerals and services, that made up our MASS agenda. Under services, we said we would focus on financing hotels and tourism; transportation – road, air and sea, and the creative and entertainment industry, because of youth involvement and the intellect they have. We resolved to work out ways to assist the youth. We also defined five strategic objectives to push through our MASS agenda. First, have a clear market focus and become a major contributor to non-oil sector. Second, build a world class institution imbibing best in class corporate governance principles and risks management practices. Third, be a relevant player in export market and significantly influence government trade policies. Fourth, build a profitable institution with a robust balance sheet. Fifth, build a highly skilled and motivated work force. How many of these have been achieved in the last four years? All! First, from the stand point of financial performance. In NEXIM’s entire history, I am proud to say this is the very first time it is making profits from year one to four consistently and paying dividends to its shareholders – CBN and the Federal Ministry of Finance Incorporated. The 4th year is still undergoing the auditing process for the year ended December 2013. Second, in terms of the financial intervention and support to non-oil exporters. NEXIM was able to give about N35.46 billion between August 2009 and today. We also gave guarantees of $27.3 million. When everything is converted, total support from NEXIM comes to $39.5 billion. The support helped create over 24,000 direct jobs for Nigerians. These jobs are capable of generating estimated foreign exchange of $320.12 million annually to the Nigerian economy. Third, on non-performing loans. NEXIM considered almost N10 billion lost. Not that the bank did not have the capacity to go after the debtors, the previous administration lacked the will to do so. So far the bank has recovered about N1.9 billion. The profit has been quite substantial. But because of the huge bad loans we inherited, it ate deep into the final profit. For instance, in 2010, which was the first full year we did, we made over N800 million. But, by the time provision for those legacy bad accounts were made, it came down to only N189 million. For 2011, it was even better, with a profit of N1.29 billion. But the legacy accounts took the figure down to about N71 million. However, for 2012 we made a profit of N348 million. We have made a recommendation to the Board for approval to pay the shareholders. Fourth, we have entrenched good corporate governance, which was lacking. When we got in, risk management strategy was not there. Today, we have restructured the bank’s credit policy. Formerly, a loan would move from the Business Development Department straight to the Executive Council, credit Committee and to the Board. Today, all these have been reviewed. We have reinforced the credit process by ensuring everybody was involved. Now, before a credit application gets to the Executive Committee on its way to the Board, it must leave the Business Development Department to the newly created management credit committee, MCC in the middle made up of all head of departments, irrespective of whether they are in operations or not. Until that credit passes the MCC, it can never get to the Executive Committee. We also made sure that no executive committee member, Managing Director or Executive Director has an individual lending limit. Every credit must pass through that process to be approved. So, if the Managing Director wants to influence the approval of a credit in favour of any interested beneficiary, he has to lobby all the heads of department to agree to pass the credit, which is not possible. These are ways we enhance credit control. Because of the legacy bad accounts the bank inherited, we said going forward, we do not want these kinds of bad debts. We made sure that at the MCC, the Chairman is the Chief Risk Officer of the Bank. If he says the credit was not yet good to go to the MCC, it would not go. That is how we have re-engineered the credit process. Fifth, we have been able to rebrand the bank. Before now, NEXIM had no visibility. Today, NEXIM is known globally. Even within Nigeria, a lot of awareness campaigns are ongoing every quarter in all regions. Any state government involved in any entrepreneurship business, or training people engaged in business, NEXIM must be there to create that awareness. Before we came in, EXIM banks around the world had forgotten about NEXIM. We have now re-established contacts with most of these EXIM banks. The U.S EXIM Bank is now working with NEXIM, which also has a relationship with the African Import-Export, AFREXIM, India EXIM bank, and the ECOWAS bank for investment and development. NEXIM has signed Memorandum of Understanding, MOUs with China, Turkey and Mexico. NEXIM has been to Malaysia on a study tour when our 5 year development programme was being prepared. All these things have been done to establish a strong corporate governance structure. We are happy now that we are working closely with all these people. With this NEXIM has been able to attract investment capital by way of commercial lending from some of them. These are not backed with any sovereign guarantee. It is purely on the small balance sheet NEXIM has. These partners appreciate the way we are managing NEXIM. What’s the volume of investment capital NEXIM was able to attract to the country? Are there specific success stories to showcase NEXIM in all this? Absolutely! One, NEXIM has created a lot of developmental impact in the Nigerian economy, particularly in terms of jobs for the people and foreign exchange we’ve attracted. Two, NEXIM has transformed from a loss-making organization to one making profits consistently. This has encouraged our shareholders to support us in all we do. They now believe NEXIM has a management capable of giving them returns on their investments. Consistently, for the past four years, our management has achieved what has never happened in the bank before. NEXIM was rated the best development finance institution in Africa in 2013. One remarkable achievement since our management came in we want to showcase was confirmed by the recent rebasing of Nigerian economy’s gross domestic products, GDP by National Bureau of Statistics, NBS. When we came in, the question was why people said South Africa was the largest economy in Africa. NEXIM’s finding was that in South African, the level of informal trade (unrecorded trade activities) was very small (less than 15 per cent of total economy). In Nigeria, level of informal trade was more than 60 per cent. Our interventions helped grow the contribution of informal trade to the country’s economy. How did NEXIM achieve this? NEXIM: In places like Kano, Katsina, Seme border, Maiduguri (before the advent of the Boko Haram insurgency), Calabar and other border communities in the country, huge trading activities have been going on between small and medium scale enterprises and neighbouring countries. These trading activities are not always recorded when the country’s GDP was being computed, even when most of them have been trading for more than 20 to 25 years. These traders also walk across to other countries to sell their goods and return to the country with the cash in their pockets. Such trading activities do not add any value to the country’s economy, because the payment system is not structured to achieve that purpose. NEXIM needed to come out with a product that captured and recorded Nigeria’s trade activities and deepen the payment system. What’s NEXIM effort at promoting regional trade? Traditionally, the market for non-oil export is Europe. But, sadly the country has not yet gotten to a level of producing goods that make the country very competitive, because of the high standard that the European Union has specified. What NEXIM did was to look at how other EXIM banks in the world were able to grow to the level they have attained and develop a capacity that would make them go to other economies and compete favourably. What we found out was that the famous EXIM banks in the world segregated their foreign markets into two distinct types. Their regional market (in Nigeria’s case – ECOWAS) is our traditional market. Any market outside ECOWAS, becomes their non-traditional market. Therefore, they would never venture out of their traditional markets. They would first trade among themselves; understand the technicalities involved in international trade; deepen the payment system; get the goods to the standards required, before they venture out. Even when they are going out, their respective governments (in this case Nigeria or Ghana) would follow their exporters with risks mitigating instruments to protect them against non-payment, political risks and other uncertainties. Our analysis revealed that we have huge potentials in ECOWAS sub-region. We then asked, if so, why didn’t NEXIM develop a product that would first formalize the country’s trade and deepen the payment system as well as ensure regional integration? We came up with the ECOWAS trade support facility, which was launched in April 2010 with about N2billion. The facility have some generous terms to encourage Nigerians to draw from and trade within the sub-region. All other EXIM banks in the world were coming to the sub-region to set up their shops, since this was where the highest return on investment came from. Unfortunately, Nigerians have always abandoned this market and get to those that would not offer them opportunity to compete effectively. How has NEXIM facilitated market competitiveness? Interestingly, everybody accepts NEXIM has responsibility to encourage trade within the sub-region. After about nine months, we went back to the market to meet the exporters, to find out what challenges they had. We found out that Nigerian exporters were having enormous challenges in moving their goods from Nigeria to other markets. The only major means of moving goods in the country has been by road, which has obvious challenges, including multiple check points, harassment from security agencies, bad roads and other associated costs. What that means is that if a businessman was given a loan of $5 million to produce goods conveyed in about 20 containers, he would have to put about 20 trucks on the road to battle with these challenges all the way to the market. NEXIM then realized why the country’s traditional trade activities were very low at about 8 per cent. To move the entire goods easily in international trade, it has to be by sea. 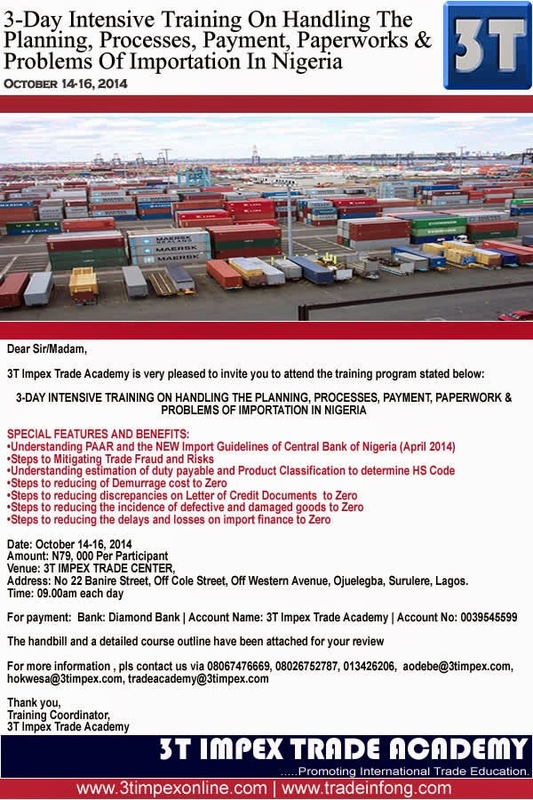 NEXIM, as Nigeria’ trade policy bank, acknowledged these challenges as a non-tariff barrier. Within ECOWAS sub-region, there are about 318 million people, with Nigeria controlling over 50 per cent of that population. Even in terms of political and financial institutions, if Nigeria says yes, then it is yes, and vice versa. Nigeria is obviously the dominant trading partner in the region. If one gets to the markets, products there are mostly from Nigerian markets. Neither the President nor Minister of Trade can decide how to overcome these non-trade and tariff barriers. It is NEXIM, which is in charge of the country’s trade policy that would come up with initiatives to tackle that. NEXIM is a government agency. It does not lend money to government, because government does not trade. The private sector does. Then we asked why NEXIM was not facilitating setting up of a cargo shipping company to be owned and driven by private sector. NEXIM’s role under that arrangement would only be to facilitate. How is NEXIM facilitating that process? NEXIM: Early in 2011, NEXIM’s Board approved the initiative. Two consultants were engaged, one each from ECOWAS and Francophone sub-regions. The consultants went through the 15 member states of ECOWAS, conducted a search and came back with a report that about $60 million would be needed to procure the vessels, and about $1.5million to create a special purpose vehicle to be used as a platform to raise money for the proposed trans-ECOWAS shipping company. When the consultants went round, they met with officials of the Federation of West Africa Chamber of Commerce and Industry, FEWACCI, who exclaimed that they had been pressurizing ECOWAS Commission for over 5 years for a grant to conduct a study. We co-opted them into the project. When the draft law was presented, we asked the consultants to go to Cameroun, despite not being a member of ECOWAS. In Cameroun, the people there know all about Dangote products from Nigeria, from sugar to indomie and other pastas and products. While in Cameroun, the consultants met with one of the biggest logistics companies based in Central Africa, TRANSMEX, which was on the verge of procuring some vessels to enhance their logistics operations. When they looked at NEXIM model, they requested to join on the project. We accepted. TRANSMEX is today on the Board with NEXIM. A special purpose vehicle was set up called Sea-link Promotional Company Limited, with a member of FEWACCI as the Chairman. The group is the only known body of traders within ECOWAS region. Presentations of the shipping model were presented to the ECOWAS Commission, ECOWAS Parliament and to several international fora on the need to have a sea-link facility, considering that what was on ground was so bad. 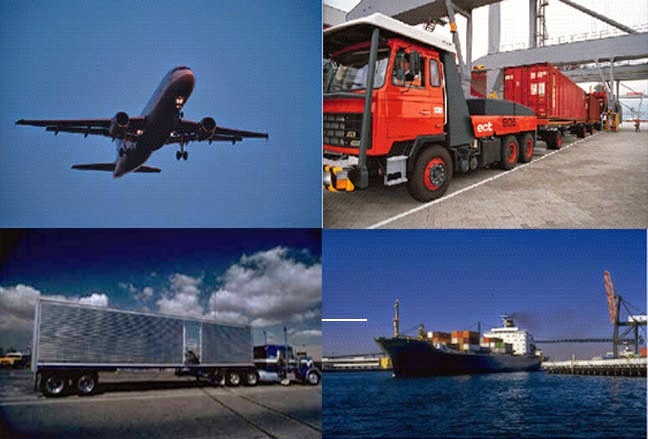 For instance, to move one’s goods or products from Nigeria to Ghana, with all the challenges mentioned above, it would take about six days by road. 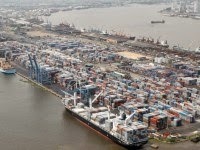 But, to move goods from Lagos to Ghana by sea, it would take between 45 to 60 days. Under that kind of scenario, how can the people trade among themselves? The goods would first be taken to Europe and a trans-shipment done from Europe to Ghana. God save the trader if the goods are perishable. Where are we now on the sea-link project? The project has gone very far. Currently, we are doing capital raising of $60 million. We were in Abidjan, Cote d’Ivoire recently for the road show. Another roadshow was in Doula, Cameroun, while the last one would be in Abuja, Nigeria. Interestingly, even before the public offer, because of the strategic importance of the sea-link initiative, people have been paying their equity. Before the private placement document was out, a lot of people wanted to pay the $60 million capital, but were rejected. It is meant to benefit all 26 member countries in the two regions, with a combined consumer base of 440 million people and GDP of over $700 billion. The people must be made to have a sense of ownership of the initiative. We would be asking for some concessions from the various governments. So, shares are allocated to various governments at the moment. By the time the offer closes and people from those countries have not taken up their shares, we can recover those shares and allocate them to others. The efforts our exporters are making within the sub-region are huge. To underscore that, representations at the various consultative meetings come from a very high level of government. Every person is excited about the project. That is the only way we can deepen trade in the region. What time frame are we looking at for the possible take off of the project? The offer would soon open, and would take some time to be collated. Between now and September, the allotment of the equities would have been completed and the funds available for all the arrangements to bring in the ships. So far, we have been able to get technical partners from Greece. We want to ensure that between December 2014 and January 2015 we should commence operations. Since one cannot get the ships off the shelf, we are having a two-pronged approach. First, we would be leasing the ships to allow for the commencement of the project. A new one would be acquired subsequently. Our ships would carry both passengers and goods. Because the two regions would join, there would be another one that would start from Congo Brazzaville to dock at major ports down to Dakar, Senegal. What would you say are NEXIM’s major achievements? Our major achievements so far are the dual role NEXIM has played – as development finance bank and commercial orientation. NEXIM has created jobs and supported non-oil exporters and other such benefits to the economy. Since NEXIM does not have money from Federation Account, it has to pay dividend on the monies it is given. We are happy NEXIM is not only a DFI (development finance institution) that flaunts what it is doing. The kind of staff NEXIM has now are highly skilled and professional in their jobs. NEXIM is also an institution with ability to intervene in the creative and entertainment industry. NEXIM pioneered Mr. President’s policy directive that there should be a way of making people in that industry have access to adequate funding. NEXIM developed operating guidelines and started lending to the industry. We went to EXIM India to learn from their model, because they are the ones that actually lent to Bollywood to help them get to the level it has attained today. People who have produced their films in America go back to India for post-production. We have been able to give a lot of money to drive and open up the sector. We are also working with some organizations to map the industry. 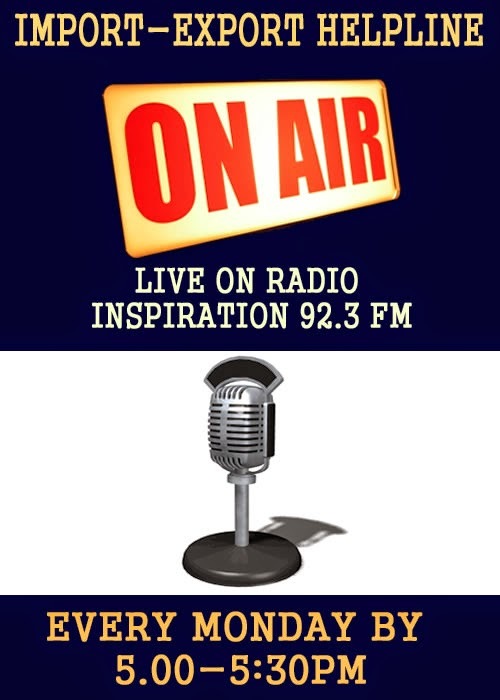 Till now, we were only talking about the potentials in the creative and entertainment industry. We are working with some other institutions to see how we can reduce these potentials into Naira and kobo, to make it easier for us to know who we are supporting. How many beneficiaries are there for the entertainment fund? We have over 3 billion applications from Nigerians all over the world. Looking at the whole value chain of the entertainment industry – from fashion and film production, cinemas and infrastructural platforms and televisions. What we have been able to give out is only about N1.11billion. What challenges are you facing giving out the loans? The challenges come by way of how to collaterize the loans. There are certain banking laws that forbid giving out monies without collateral. We are holding them as much as we can on how they can take advantage of this opportunity. Based on our experience from our relationship with EXIM bank of India, we are able to come up with very creative and innovative products that do not necessarily require giving somebody a house or car as collateral to access funding. EXIM India can lend on the basis of cash flow or insurance products. We brought the Indians to Nigeria in 2012 to ensure that they went to the relevant Ministries, namely Finance, Trade and Investment, National Insurance Commission, NAICOM; Nigerian Communications Commission, NCC; Video and Censor Board, Central Bank of Nigeria, CBN. In their own case, their Central Bank first of all identified it as an industry and circular, like a forbearance, that if a particular bank was interested in lending to the entertainment industry, they should do so on a particular basis. A whole lot needs to be done. We have been able to get that report from EXIM India. We are studying it with government, and we believe that at the appropriate time, those policy issues would be made and clearly help people in that sector in accessing funding. To NEXIM, it is all about export of service. NEXIM is excited about what is going on. Who were the beneficiaries of the loans to the entertainment sector? They are about eight. But, it must be made clear that NEXIM does not give monies to individuals. Monies are given to incorporated entities. What NEXIM did was to place a lot of emphasis on infrastructural platforms, like cinemas, where there were issues of piracy. When one looks at Nigeria with only about 60 screens today for a population of about 170 million people. In India, they have 13,000 screens. What that means is that Nigeria has 0.36 screen to a lot of people. NEXIM’s major concern is how to block the issue of piracy. Government is doing so much. But, what one finds is that these people suffer so much. At the end of the day, their work is leaked and somebody somewhere duplicates everything and sell. So, we must find some ingenious ways of letting the people enjoy the efforts they have made. One of the things we learnt from India, which is applicable to most of the countries, is that one does not send one’s tape out, as most of the banks lend on the basis of the tape. Once the tape is out, some people would not pay the money. They don’t even burn these things into CDs and DVDs the way it is done in Nigeria. The work would be shown on the screen for at least one to three years through the box offices for people to recover their money. By the time they finally decide they are going to burn them into CDs and DVDs, the person must have recovered his money a long time ago. The only thing we have to do in Nigeria is to have a lot of cinemas. NEXIM has been able to finance one cinema each in Lagos and Ibadan. Another one is being processed for Kano, which is traditionally a film city. We are also looking at community cinemas in some of these capitals. First, to engage these young people, and secondly to see how we can contain the issue of piracy to encourage people in the entertainment industry to believe that their works would not be pirated. Government is also looking at how to strengthen the work of the National Copyrights Commission, NCC, so that people engaged in that industry would have the confidence. Right now, how to protect their intellectual property is a big challenge. But, NEXIM believes that is a sector that have young people with very high intellect and can help reduce the high unemployment in the country. We have to tackle it headlong. How much support has NEXIM been able to give to SMEs as a strategy for job creation? From Day One, we knew that if Nigerian economy must move forward, considering its structure, the emphasis should be on support to SMEs. One of the first things NEXIM did was to set up the business advisory services, to help some of the SMEs with very good ideas, but no knowledge on how to put them in bankable form. Over 90 per cent of the N39 billion NEXIM has given is in support of SMEs. That is where those small jobs were created. It is those SMEs engaged in those sectors that touch people in the rural areas directly. If N50 million is given for the purchase of a processing plant, in states like Benue, the impact on agriculture would unimaginable. The way oranges, mango, cassava and tomato produced from the areas are wasting is shocking. There is no preservation facility. And it is only when they are processed that money is made and jobs created. So, NEXIM is emphasizing value addition at that level. That explains why NEXIM looked at the markets the average Nigerian exporter should focus on when preparing its strategic repositioning. We advised them to focus on West Africa, which has the highest GDP among the various regional economic blocks in Africa. This is where the margins are. It would even make them understand the quality expected to produce when one moves out. The level of trade among ourselves is the lowest. As long as we do not trade among ourselves, other people would come into the region and exploit our market. But, most of the people trading are SMEs. NEXIM has its own definition of SMEs different from CBN’s and SMEDAN’s. But, we do not go down to the level of N1 million or N2 million. We have a focused market. Every project NEXIM must intervene in must have export content, even if only one or two per cent. We need to deepen the external sector of Nigerian economy. We’ve got a market close to them. If one is producing here and selling in Benin Republic, even if one per cent, at least something is coming in. Some SMEs complain about the difficulty in accessing financing in NEXIM. Is there any standard they must meet to facilitate access? Most of the customers are not able to bring a proposal in a bankable form. There are lots of misconceptions about NEXIM and government bank. When people are coming to NEXIM, they come with the notion it is government bank that should just give them money. May be that was what was happening before we came. What I tell them is: Sorry, it is no more possible. I have never worked in a government bank, but one with simple processes that must be followed to secure a loan. Most of them are not interested in that. When requests for documents are made, they would not comply. The truth is that it is not difficult to access loans from NEXIM. We are very accommodating. NEXIM tries to support exporters as much as possible to see how they can access funding, especially for those sectors we are focused on. So, the difficulty is actually from the project promoters. Most of the projects NEXIM is financing are green field projects. 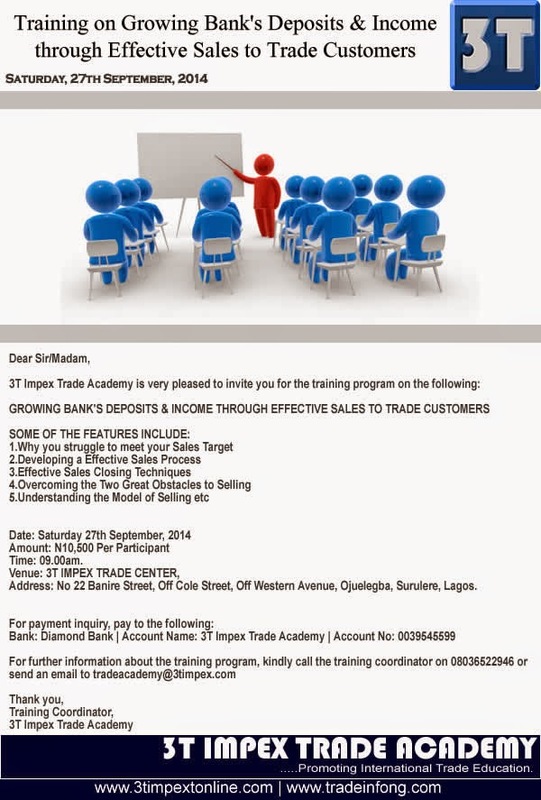 Some of them have grown so big they are among CBN’s 100 exporters. So, my advice is that people should just comply with the simple process of documentation. As a bank we work with documentation. Has NEXIM been able to attract financial assistance from international finance organizations, and for which sector? NEXIM has been able to leverage on its small balance sheet to get some investment capital into the country. We have a lot of offers from other EXIM banks, but we have not been successful in them, because our balance sheet is small. To boost our prospects, NEXIM engaged its shareholders, especially now that the country’s economy has been rebased. The prospects of trade has become very important. When one looks at that over 96 per cent of the country’s export revenues come from oil, there is need to diversify the sources of the country’s export earnings. Even with our small balance sheet, NEXIM was able to get Nigeria into the Organization of Economic Cooperation and Development, OECD in 2013. That’s another achievement. The world is in love with Nigeria, because of her huge potentials. With an authorized share capital of N50 billion, which has not been fully paid, NEXIM is trying its best to attract investment capital on a commercial basis. Government also caused African Development Bank, ADB to give NEXIM $200 million in 2011. We are yet to draw down on the money. The first tranche of $15 million would soon be actualized. This is an indication that government too is committed. With the level of engagement NEXIM has, there is no doubt that something positive would come up. 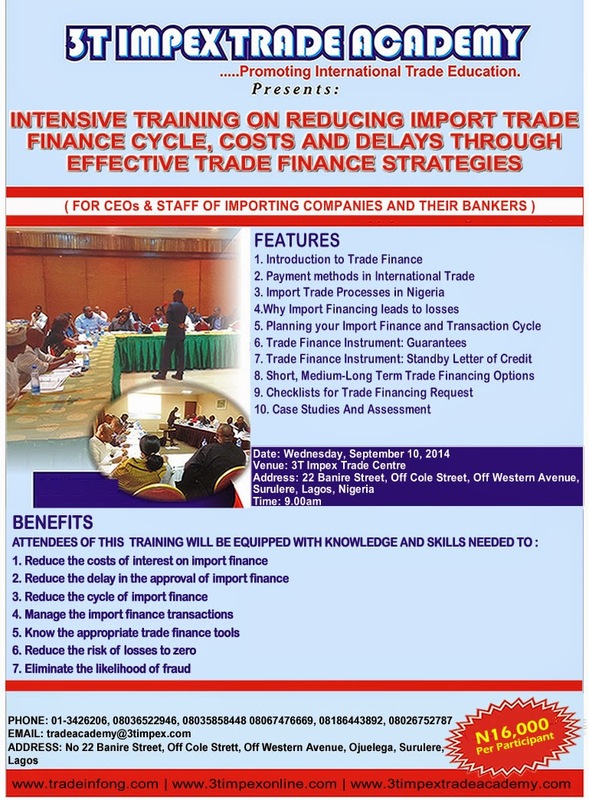 Any room for partnership with other financial institutions like the BOI in managing some funds for SMEs? NEXIM has a different market focus. A state government can go into partnership with BOI and look at the micro institutions like rural women. NEXIM has a specialized market, where people who understand what it takes to export are found. If NEXIM has that kind of collaboration, it cannot lend to a state government. We can only lend to private sector. What government can do is to ask NEXIM to step in and help if its intervention funds in a particular area is not well utilized. For instance, NEXIM is in the forefront of structuring the solid minerals sector. NEXIM brought the Miners Association of Nigeria, MAN together and empower them to organise all the artisans into cooperatives and have control. Government has done a lot in mapping the industry and providing information for the operators. NEXIM, as a DFI has been in the forefront of bringing these artisans together under one association of miners. NEXIM was inspired by what it saw in South Africa. From the total $94.21 billion realized from exports in South Africa in 2011, almost 60 per cent came from the mining sector. Nigeria’s natural endowments are more than South Africa’s. There are solid minerals in commercial quantities. Yet, the contribution of solid minerals to Nigeria’s GDP is virtually nothing. What this says is that Nigeria has huge potentials and resources buried in the ground and nobody seems to be looking at it. Therefore, NEXIM felt this is one sector that needed to be given attention. NEXIM has lent so much to that sector now. Based on the potentials of these minerals, how many of these non-oil sector products have NEXIM been able to help develop? We have intervened in about six sectors, including marble in Kaduna; gold in Zamfara; barite in Port Harcourt and Nasarawa state. A lot of commercial banks run away from solid minerals industry. They believe it is high risk. But, that is where as a DFI, NEXIM should get into, de-risk the industry, and make it attractive for commercial banks to come in and play. Once that is achieved, NEXIM can move out to other unserved markets. That is what NEXIM is doing. NEXIM is also looking at the issue of laboratory in the sector. Right now a lot of mineral samples are taken outside the country, whether they’ve been evaluated correctly or not. The country has only two laboratories in Enugu and Kaduna. NEXIM is looking at how to support those kinds of programmes, so that people don’t take their samples outside the country. What’s the level of achievement under the buyer-credit scheme? This line of credit is given to help exporters from a particular country have easier access to finance. NEXIM wants to build that kind of foundation. When one gets to most of the markets within the sub-region, one finds Nigerian products. In that situation, Nigeria might decide to give a line of credit through NEXIM to a financial institution, may be a similar EXIM bank in Ghana, to help potential buyers of the country’s products access that facility to empower them purchase those products. NEXIM has $20 million from EXIM bank of India for that kind of facility. That money cannot be used for any other transaction other than those from India, either in terms of acquiring equipment people want to import, or industrial raw materials that would help produce exportable goods. NEXIM has set up ECOWAS trade support facility since, before now, people were doing their businesses in cash. By 2015, NEXIM should begin to give about N1 million to any country in West Africa that we believe have more of Nigerian products in their market. If people are not encouraged upfront to make payments through the banking channels, how then would they take advantage of such money? That is one of the reasons we established the ECOWAS trade support facility. Now that Nigeria is the largest economy in Africa, the country has gotten to a level where it should begin to give back to some of the countries that consume most of her goods to create an easy market access for her exporters. The facility is to develop and create an easy market access for our exporters. Despite the huge NPL burden, what’s the future like for NEXIM? NEXIM has a very bright future. From the standpoint of where we are going, the bank has a clear direction where it is heading. The processes are very transparent and functional. The staff are very competent and well-motivated. Looking at the international community, how NEXIM plays in the global market is very important. The kind of interest expressed about Nigeria is enormous. What has been a major drawback has been availability of funds. At the moment NEXIM has very good projects close to about N100 billion in the pipeline, but no money to pursue all of them. Once there is adequate funding and everything in place, NEXIM has very good prospects. Today, almost all EXIM banks in the world want to deal with NEXIM to deepen trade. We expect that as Nigeria is now occupying the leading position in terms of economy in Africa, NEXIM must find very ingenious ways of following the country’s exporters to help them have easy market access, particularly as it is a member of OECD Global network of EXIM banks. In a bid to execute our primary objective of promoting export business in Nigeria, our research has shown that the individuals that possesses the capacity and requisite skills to grow the business in Nigeria are either engaged actively in other sector of the economy and do not have an idea or have a faint knowledge of the business and some even have a negative perception of the export business. We have studied what the business has done for other countries and we are positive that growing export business in Nigeria would stimulate industrialization, job creation, an increase in GDP and the Nigerian economy in general to mention a few. In our effort to get across to these persons (professionals, cooperatives, small scale businessmen), we have put together an export training product in a pack called e-Export Seminar. 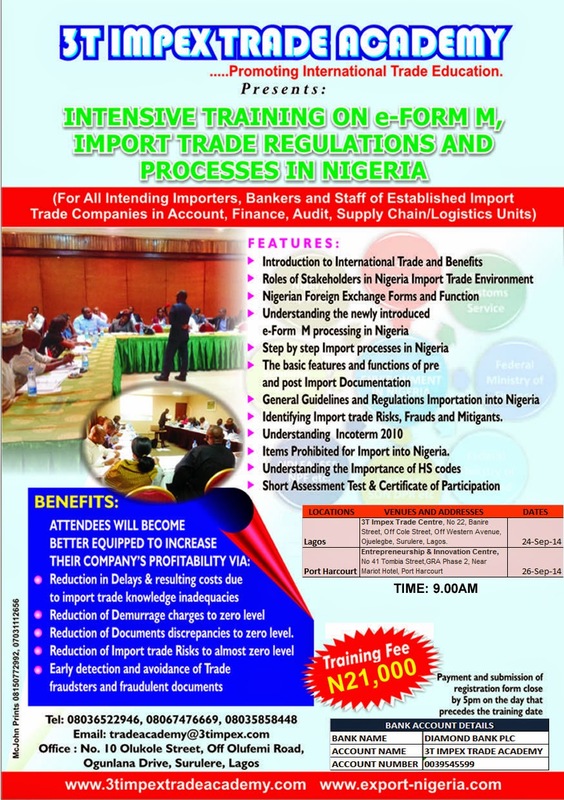 Considering the great importance of export to any nation, coupled with our firm commitment to promote the business in Nigeria, we have therefore deemed it fit to distribute over 30,000 copies of e-export seminar pack for free to the professionals, cooperatives, commodity merchants and small scale business owners in the six geopolitical zones of Nigeria. The current sales price for each of this pack is presently =N=12,000 ($80). Printing 30,000 copies of the training pack will reduce the cost of production, packaging, publicity through free seminar and distribution to =N=5,000($ 35) per copy. In all, we will need a total sum of =N=150,000,000 naira ($ 1Million) to execute this export promotion project from September to November 2011 in Nigeria. This will enable the new exporter take advantage of the new Agric commodity season which starts from November/December yearly. However we will not have to wait till we get all the funds before we commence this project. We planned to start production in August and continue as the funds come in. We are therefore seeking sponsorship from any organization to facilitate the production, packaging, publicity and distribution of this product in all the 6 geopolitical zones in Nigeria including Abuja. 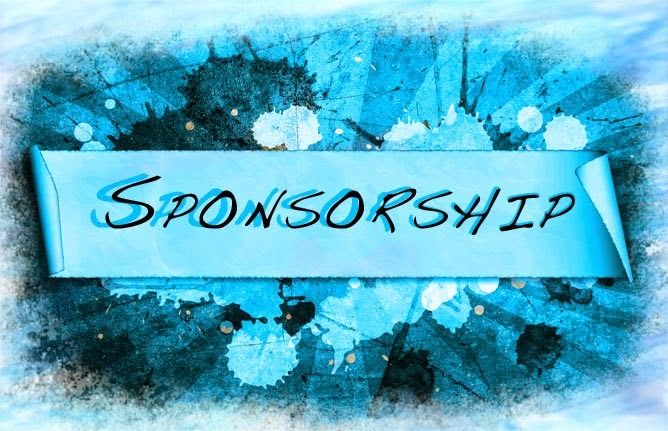 We are also assuring that such organization in return will also gets its deserved publicity for the good work and great support for our dear country because, the name and logo of the organization will be listed as part of the sponsors on our exquisite product pack. · Sample of shipping line schedule. We we will be awaiting your generous donations. 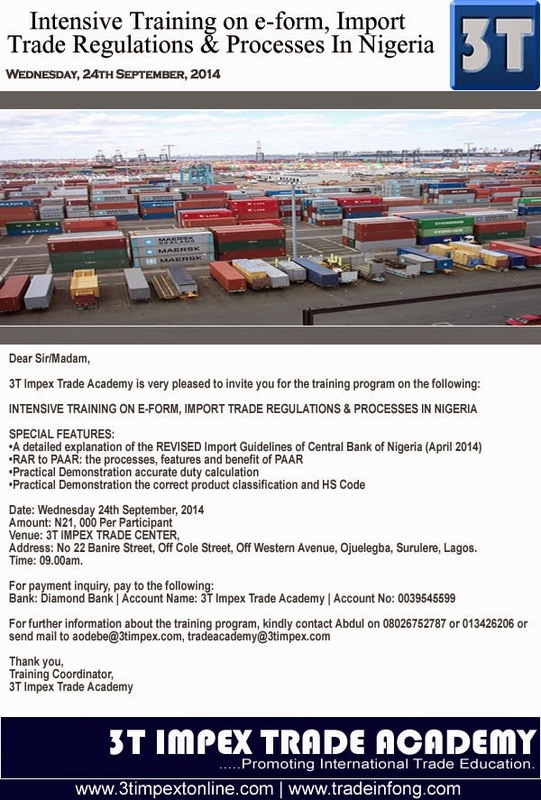 For more information on this initiative and if any of the interested sponsor will like to request for a copy of the e-Export Seminar Pack, please call +234 803 6522 946 or mail info@3timpex.com. Local price: The local price of gum Arabic grade I ranges from about N170,000 to 200,000/MT in Kano. Delivery to Lagos will increase the unit price per MT by 10,000 to 20,000. Local price: The local price of of dry split ginger deliver to Lagos from kafanchan in Kaduna state varies from N250,000 and N300,000.